The Android Open Source Project (AOSP) uses a web-based code review tool known as Gerrit. 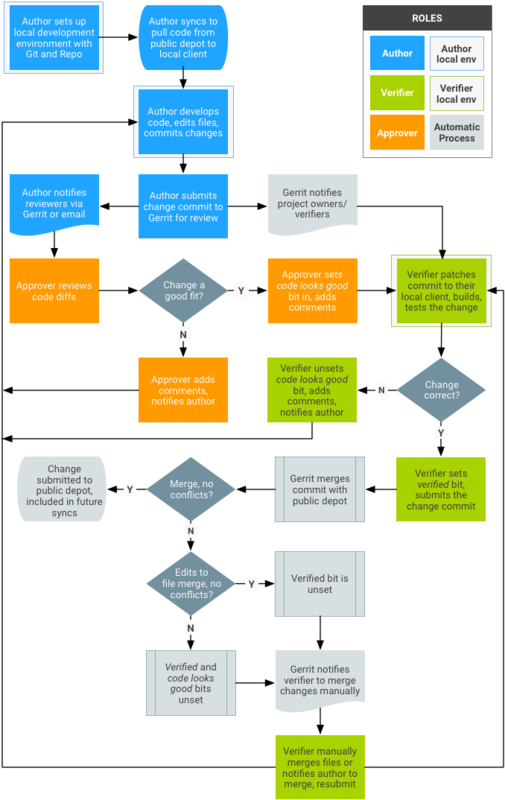 The image below is a flowchart that details what happens to a patch, once it's been written. Though it may appear complex, the majority of the steps below are performed in the web application. For full instructions on how to get set up to use gerrit and git, please see the Submitting Patches page.